A year of events bringing inspiring ideas that have worked elsewhere to help towns thrive and seeing how these could be adapted to Hastings. We have booked some truly inspirational speakers to tell us about ideas that have proved successful elsewhere to help towns thrive. You are welcome to just come and listen, but if you are hungry for new ideas and have the energy to work together to adapt them to the Hastings context, you can be part of the treasure. 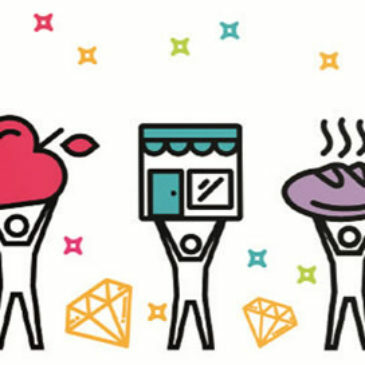 Small pots of money and mentoring are available to support the growth of new community businesses that emerge from this event. Morning Session (9 – 1) ‘Inspiring Ideas from Elsewhere’. Afternoon Session (2 – 4.45) ‘Making it happen in Hastings’. Following each Common Treasury showcase event, a Taking-it-Forward period of three months will support the development of new ideas, with guidance and wisdom from the inspirers, a facilitator and a development fund of £6,000. Each group will have the opportunity to discuss what they need to develop the idea and then negotiate with the others how to allocate the fund. 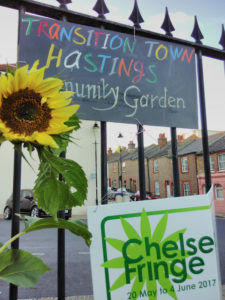 The Common Treasury of Adaptable Ideas is a unique Hastings initiative hosted by Energise Sussex Coast & Jericho Road Solutions – generously supported by Power to Change.